Lucas Terpkosh is a Chartered Business Valuator, a Chartered Professional Accountant (having trained as a Chartered Accountant) and holds the Certified Financial Forensics designation. Lucas joined Blair Mackay Mynett Valuations Inc. (“BMM”) in April 2017. Prior to joining BMM, Lucas worked at various international accounting firms where he specialized in valuation and litigation support services. Lucas has extensive experience in the preparation of independent valuation reports and expert reports across a number of industries. He has valued and analyzed large public companies as well as shareholdings in closely held private companies. 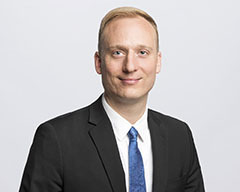 His valuation analyses have been used in the context of mergers and acquisitions, shareholder disputes, matrimonial disputes, financial reporting, and corporate reorganizations. Lucas has also prepared expert reports regarding the quantification of economic losses for insurance and litigation matters. This includes business interruption claims and loss of income calculations for civil litigation matters related to personal injury, breach of contract and negligence. Lucas has also prepared expert reports regarding the income available to a spouse for child and spousal support purposes (typically referred to as Guideline Income reports). He has also presented frequently to various business and professional organizations regarding business valuation and related matters. To contact Lucas, please call 604-697-5286 or email lucas@bmmvaluations.com. Contact Blair Mackay Mynett Valuations Inc.